Hiring? 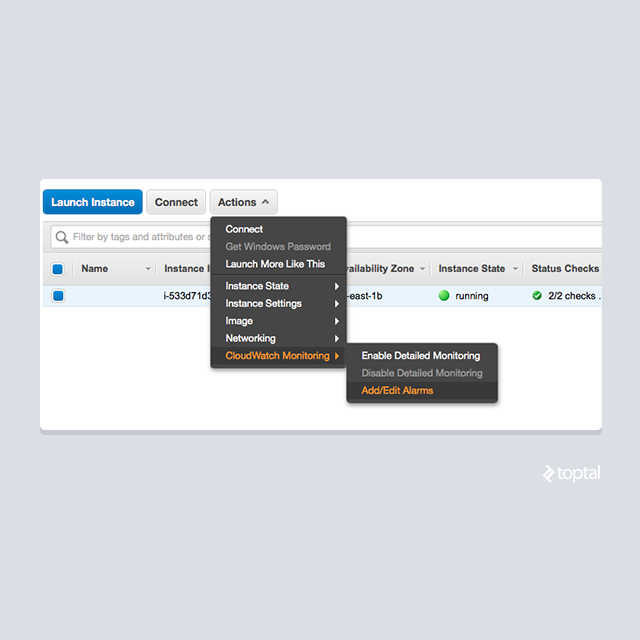 Toptal handpicks top AWS engineers to suit your needs. During the last few years, the hottest word on everyone’s lip has been “productivity.” In the rapidly evolving Internet world, getting something done fast always gets an upvote. Despite needing to implement real business logic quickly and accurately, as an experienced PHP developer I still spent hundreds of hours on other tasks, such as setting up database or caches, deploying projects, monitoring online statistics, and so on. Many developers have struggled with these so called miscellaneous tasks for years, wasting time instead concentrating on the project logic. My life changed when a friend mentioned Amazon Web Services (AWS) four years ago. It opened a new door, and led to a tremendous boost in productivity and project quality. For anyone who has not used AWS, please read this article, which I am sure you will find worth your time. Amazon Web Services (AWS) can boost your productivity, literally, in minutes. Amazon Web Services was officially launched in 2006. Many people will have heard of it, but probably don’t know what it can offer. So, the first question is: What is AWS? Amazon Web Services (AWS), is a collection of cloud computing services, also called web services, that make up a cloud-computing platform offered by Amazon.com. AWS is a collection of services in the cloud, as the definition says. AWS provides fast computing resources online (for example, you need 10 minutes to set up a Linux server). AWS provides easy-to-use services out of the box, which is saves lots of time manually setting up a database, cache, storage, network and other infrastructure services. AWS is always available and is highly scalable. There are, of course, many more advantages to using AWS, so, let’s have a quick overview of how it can boost your productivity. An Email address, which is used to receive a confirmation email. A credit card, which will not be billed since the setup process is always free. That’s it. Once you have the info listed above ready, visit AWS web page, and create an account following the easy-to-follow instructions. 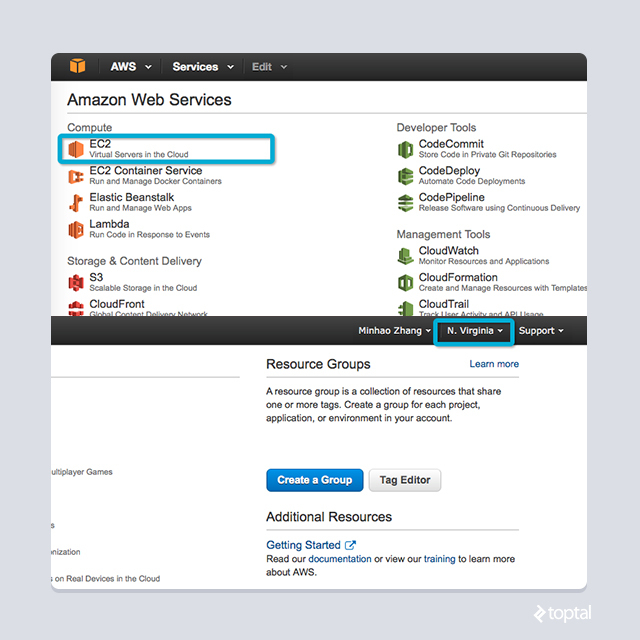 Most AWS services offer an abundance of free tier resources on a monthly basis. That is, testing AWS typically costs you little or nothing. On the top-right corner, you will find the region selector. AWS provides services in 11 different regions across the world, and it is still growing. Choose a region as your choice, or leave it to US East (N. Virginia) as default. Different regions may vary in pricing, which you should bear in mind as your usage grows. Most of the screen is filled with a list of services. We will cover EC2 in this section. 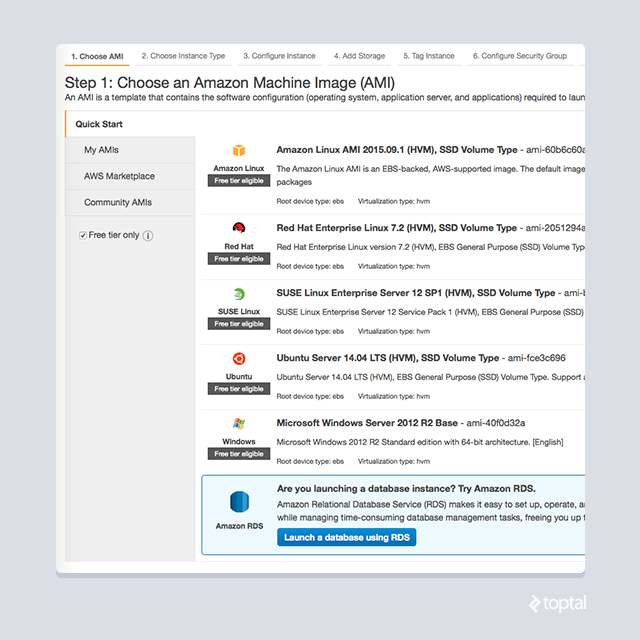 Take a quick look at what AWS provides. Don’t worry if they don’t make sense, all of the services will work on their own. However, you will get greater productivity by using a combination of them. The most fundamental need of a cloud resource is the virtual server. EC2, or Elastic Compute Cloud, is the name chosen by Amazon for its virtual server service. Let’s have a look at how easy it is to get a Linux server online. 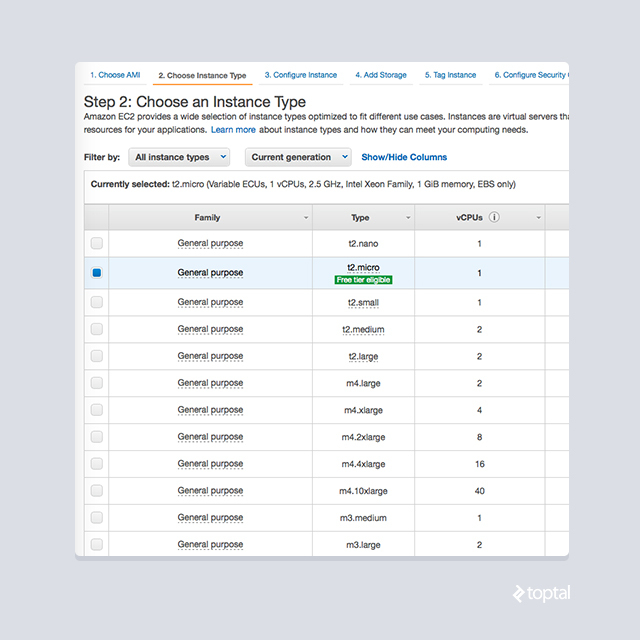 Next, select an instance type. You can understand this as your hardware specification for your virtual server. You can start with t2.micro, because you will get 750 hours of free usage every month with this instance for the first year. Note this is valid only the first year from the date you sign up, and only for the t2.micro instance. It’s a good deal if you only want to have a taste of AWS. With the ability to configure the server in more detail, you can launch the server. The first time you use EC2, you will see a screen similar to the one below. The warning about security tells us how much Amazon emphasizes the security aspect. However, we can ignore this warning until we visit the section about managed services. Finally, to access a remote server, we need an identity. 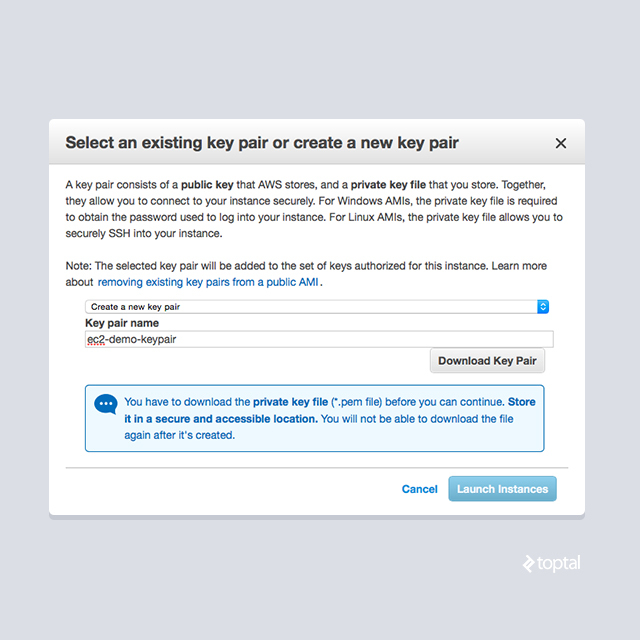 AWS will prompt us to choose an SSH key pair, as in the image below. Download the privacy key file and click the launch button. And yes, we are done; a new virtual server is being configured and will be ready in a few minutes. The process above should take less than five minutes, and that is how easily we get a virtual server up and running. In the next section, we will learn how AWS helps us manage the instance we just created. Most AWS resources are billed in hours, which provides good flexibility. For example, taking the EC2 instance we just created, there are two ways to put it out of service: stop and terminate. Both actions will stop the billing. The difference is that by stopping an instance, we can re-start it later with all our work saved. In contrast, by terminating an instance, we give the instance back to AWS for recycling and there is no way to recover the information. The need to terminate an instance results from AWS setting a limit of 20 instances per region per account by default, and a stopped instance still counts until it is terminated. When you want to try something new, it is more cost friendly if you only need to pay for a couple of hours, and you probably won’t exceed the free tier for some services. Pricing information for AWS is available online. After making some calculations, you may raise the question: Is AWS actually cheaper? By multiplying the hourly rate for a month’s time, it looks like it’s not competitive at all. The answer is yes and no. For the minimum resource requirements, we can achieve a 30 to70 percent discount using the reserved instance, along with other varying resources billed as an on-demand instance. In practice, this will be 30 to 40 percent cheaper with the one-year commitment, and even more with a three-year commitment using reserved instances. That is why I’ll vote “Yes” on the above question. And AWS is even cheaper if you include the security and monitoring benefits. And a list of auto deployment services such as OpsWorks (which will not be covered in this article). We can decide what can comes in and what can go out by configuring inbound/outbound rules. 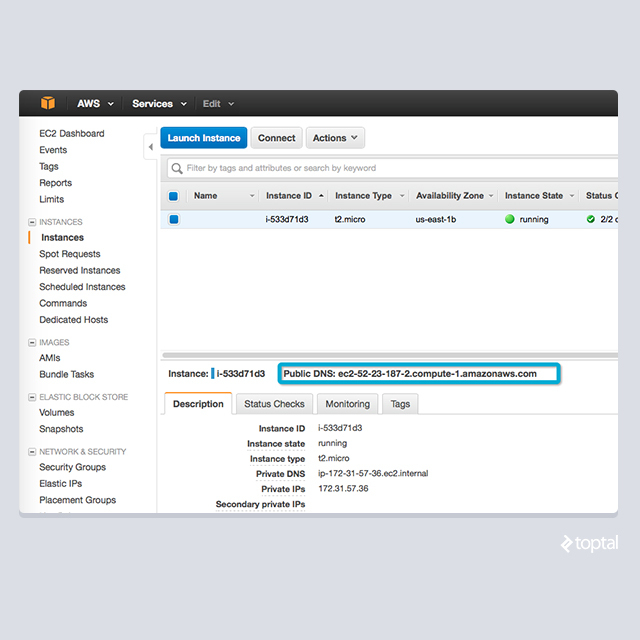 TCP, UDP, and ICMP rules are supported by the EC2 service. The security group acts like an external hardware level firewall, and we never need think about patching it. One more advantage of using security group is that it is reusable. One security group can be shared among many resources. In practice, it greatly improves maintenance efficiency by removing the hassle of setting security policy one by one for each resource. Also, the shareable nature of a security group enables us to configure it in a single place, and apply that security policy to any other resources, without the hassle of setting it manually, one by one for each resource. AWS provides another method to handle access control by using IAM. This is an application level security control for when you need to access the RESTful interfaces. Each REST request must be signed so that AWS knows about who is accessing the service. Also, by checking against a preconfigured list of policies, AWS will determine if the action should be denied or allowed through. We will not cover IAM in detail in this article. However, note that AWS puts a lot of thought into security so you can be sure no unauthorized visitors can access your confidential data. CloudWatch is a service provided by AWS to collect and track all kinds of metrics from your AWS resources. It is more powerful because of its ability to react to certain events (or alarms). With the help of CloudWatch, we can monitor the health of our newly created EC2 instance. 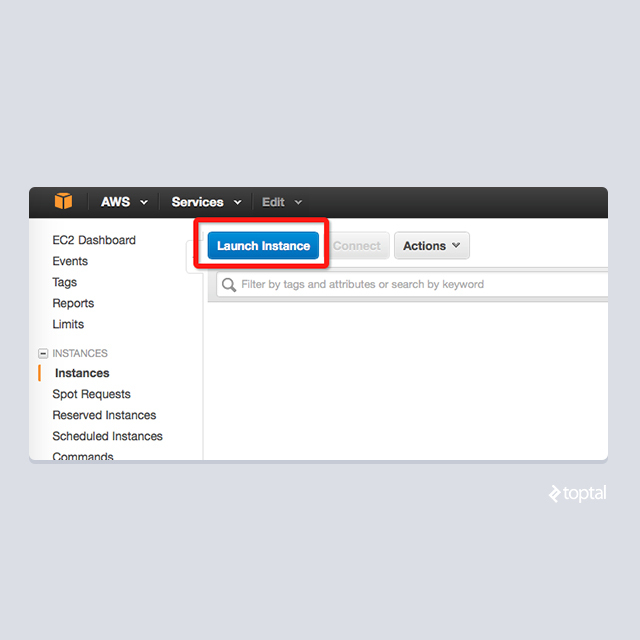 NOTE: SNS is a topic based service provided by AWS to send notifications. Notifications can be sent by email, SMS, iOS/Android push notification and many other formats. From monitoring to notifying, CloudWatch attempts to automate monitoring needs in a few clicks. There are tons of metrics predefined for various AWS services. 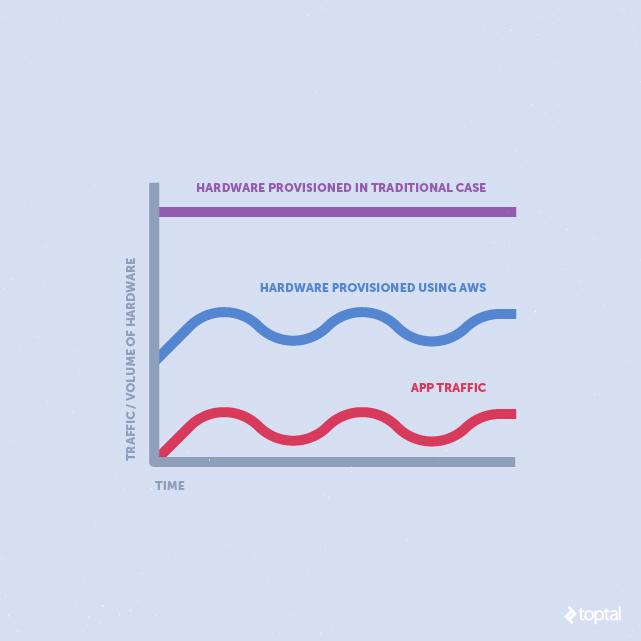 For the advanced user, you can even create custom metrics for your application. Regarding cost, the free tier service provided by CloudWatch is usually plenty for start-up projects. However, even when your business grows, the added costs are usually less than 1 percent of the service cost. Check detailed pricing for further information. Considering how easy it is to set up a monitoring system using CloudWatch, it has become the most used monitoring tool. Get a server for the database. 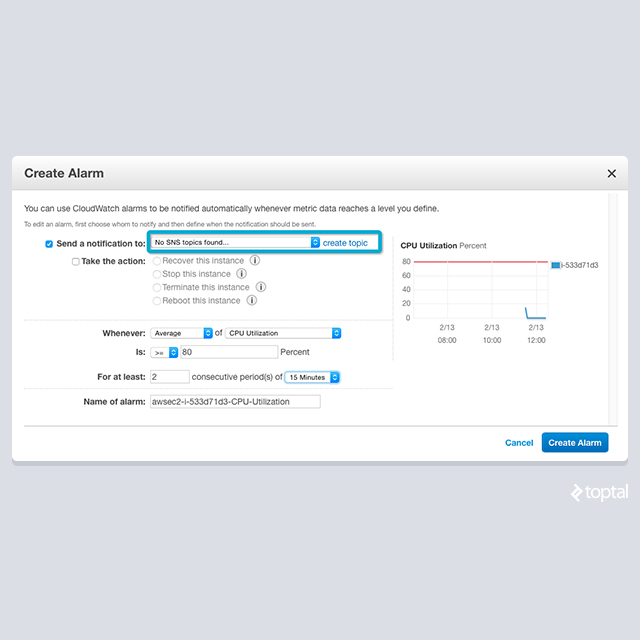 Configure monitors for the server and the database. Patch the software as needed. And many other not listed here. Find existing open source (or commercial) solutions for distributed file storage. Install and configure the chosen solution, which is usually not straightforward. Our application needs a cache. Our application needs a message queue. And many other problems to be solved, plus, we need to do pre-configuration and post-monitoring work. And, as you may have already guessed, this is another significant area where AWS helps. There are a lot of application level services available, so you won’t need to consider anything else. Let’s cover some of them to give you a quick picture. Relational databases (RDBMS) have been widely adopted by a lot of applications. In the production environment, special attention is always needed when deploying applications using RDBMS, beginning with how to setup and configure the database, followed by when and how backups are made and restored. In our team, our Database Administrator (DBA) used to spend at least 30 percent of his time writing setup and maintenance scripts. With the introduction of AWS RDS, our DBA got more time to do SQL performance tuning, which is the preferred area to invest your DBA in. RDS provides support for most of the popular database engines, including MySQL, SQLServer, PostgreSQL. A database, either a node or a cluster, can be created in a few clicks. RDS offers built-in support for shared database parameters, under the service named “Parameter Group”. RDS provides built-in support for access management with the help of Security Group , which is quite similar to the one we covered for EC2. 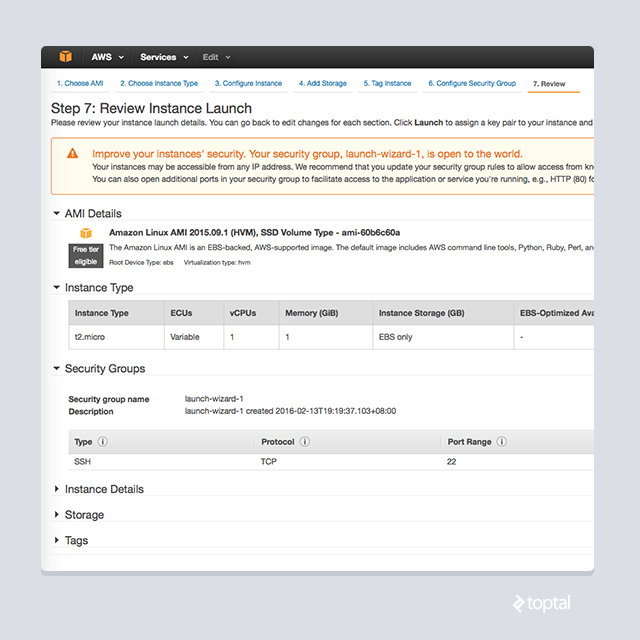 RDS offers additional services by enabling Multi-AZ in a single click. All monitoring, standby and failover switching are done automatically. Maintenance and backup of RDS are automated. To conclude, RDS saves a considerable amount of time when it comes to setup and maintenance of the database services. In exchange, you will pay about 40 percent more than the corresponding EC2 server. So, it is a business decision whether to opt for RDS or deploy the corresponding server on your own. However, it does allow you to invest more time in work that’s related to real business rather than infrastructure stability and scalability. Plus, you will soon notice that this is the way of business AWS advocates. NoSQL has become a favorite topic in recent years. Since many real life projects do not need the support of various relational DBMS, a list of NoSQL databases has been introduced to the market. Amazon is not falling behind in this. DynamoDB (https://aws.amazon.com/dynamodb) is the key-value store announced by Amazon in 2012, and the core contributor to this service is Werner Vogels, CTO of Amazon, one of the world’s top experts on ultra-scalable systems. It is no secret that Amazon handles massive traffic. DynamoDB is derived from Dynamo, which has been the internal storage engine for many Amazon’s businesses, including its shopping cart service that serves billions of requests every Christmas. DynamoDB has no limitation in scaling up. As we can read from the table, DynamoDB provides its service out of the box, and usually at a lower price compared to building your own key-value storage. This is because unless you hit the maximum capacity of your MongoDB/Cassandra cluster, you are paying more for something you never use. Amazon offers its service in a fully-managed manner. This means that you don’t have to worry how to setup, scale or monitor your DynamoDB; they are all done by AWS. In fact, reading and writing DynamoDB items are always measured in constant time complexity, regardless of the size of data being manipulated. Therefore, some applications have chosen to discard cache layers after they switched to DynamoDB. Amazing, indeed. When working with large volumes of data, we often distribute calculations to many computing nodes. When doing business globally, we are often in need of a pipeline to process data collected from nodes distributed in a geographically wide range. 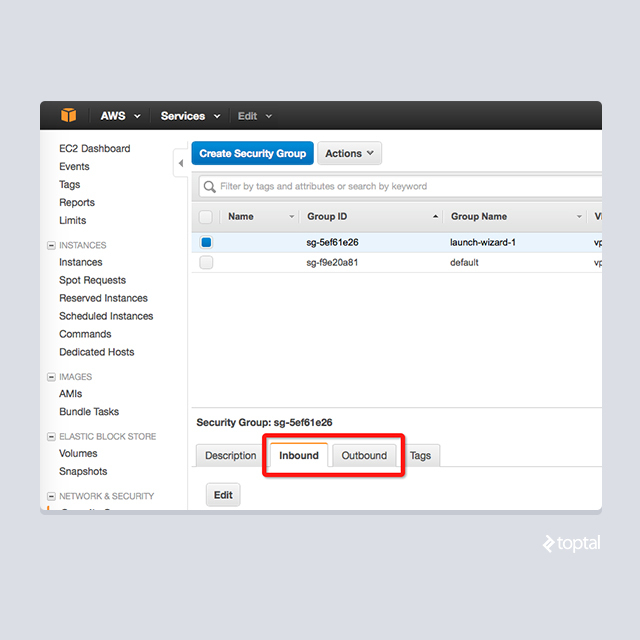 To help meet the requirements for such events, AWS introduces SQS, Simple Queue Service. Like many acknowledged queue services, SQS offers a way to pass messages/jobs between different logical components, in a persistent manner. Retaining messages for up to 14 days. Visibility mechanism for avoiding message loss in a failure event. Redrive policy to handle failed messages (so-called dead letter). The queue is highly scalable; it can be tens of messages you are passing through or millions per second, so SQS scales on the fly. 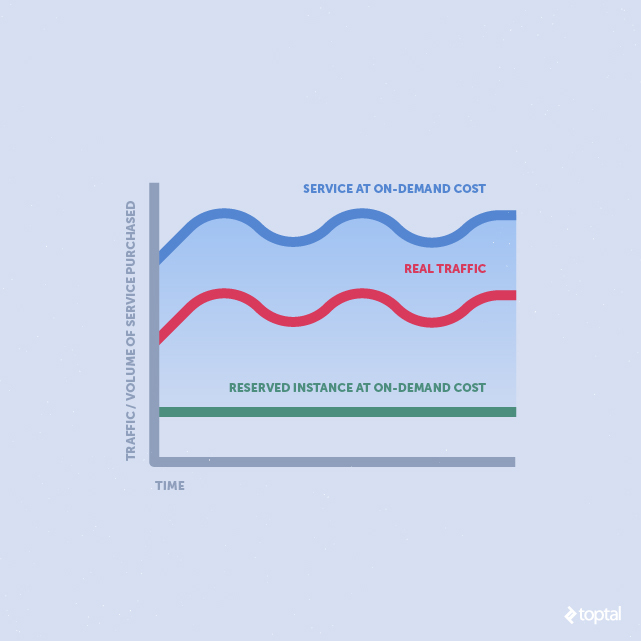 The queue is persistent and distributed, which means critical data will not be lost unless they expire. S3 stands for Simple Storage Service andis like Dropbox as a service for the end-user, but this is for applications. By definition, S3 is an object-based storage with a simple web interface. S3 is simple for the user, but also comes with lots of advanced features. I S3 has become an industry standard, especially for applications using other AWS services. This is mainly because S3 is so easy to integrate that it has become a popular external storage destination for most AWS services. Also, many services, such as DynamoDB, SQS and so on, make heavy use of S3 internally. Understanding S3 should amplify the benefits of using other AWS managed services. This is because most of the services store their backups on S3. Also, S3 is the common export/import destination for services including, but not limited to, DynamoDB, RDS, and Redshift. Finally, S3 is like other AWS services; it’s fully managed so we can simply start using the service without setting up any server or failover mechanisms. Economy wise, S3 is also a pay as you use service, so, you can always try it out without much cost. Redshift: A column based database which can be used to process trillions of data in a very fast manner. You must try it if you are responsible for the ETL of a large amount of data. Data Pipeline: IAllows you to quickly transfer data between AWS services, and further enables periodical processing of data in a smaller shard. ElastiCache: Managed Memcache server, simple but does the job perfectly. Lambda: Next generation of cloud computing. Lambda runs an uploaded piece of code in an event-driven fashion that opens a new door for designing distributed applications. Route53: Powerful DNS solution with the support of weighted response, geolocation based response on top of other industrial standard DNS solutions. 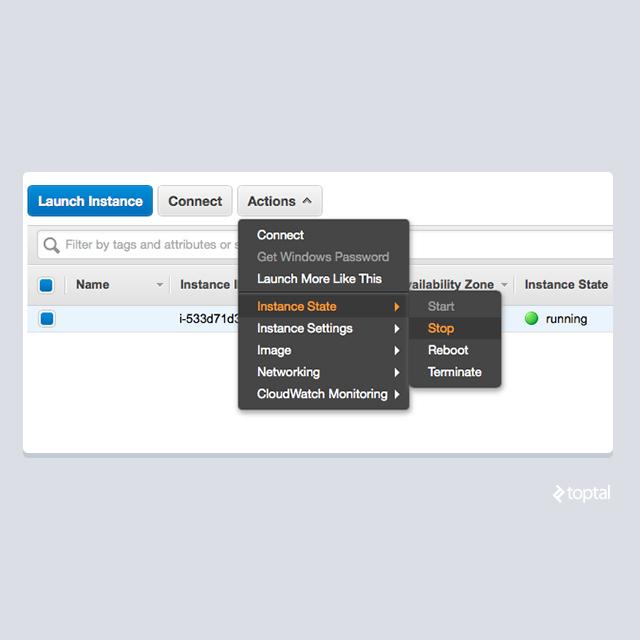 SNS: Easy-to-use notification service, designed in subscriber/publisher pattern. I think it is a good habit to check AWS whenever you are introducing some new component to your application. Most often, AWS will give you a sweet surprise as it will have a ready a SaaS alternative to offer. Furthermore, to make it easier to access RESTful interfaces, Amazon has provided SDKs in almost all popular programming languages. You should have no problem finding your favorite SDK. We have covered some of the most widely used services of AWS in this article. For sure there are some areas that AWS will help your business. You might choose to migrate an existing service component to its AWS equivalent, such as MySQL database to RDS, for instance. You may well find yourself asking if there are any AWS services for this component of my software? So, get an AWS account today, and get your productivity boost in minutes. Good post! I am mostly using AWS as a content provider and it is so fast! Nice explanation! At my office, I often heard those AWS abbreviations such as EC2, EBS, RDS, S3, etc. But I have no idea about it. You explained them clearly & briefly, it makes me easier to understand the concepts. Thanks! Great overview Minhao, I sent this article out to my people! Thanks, this article summarizes and explains in brief almost all the services provided by AWS. Clear and concise overview of AWS. Very useful. Minhao has over 10 years of experience in developing server side apps on Linux platforms using PHP and C++. He specializes in providing highly available and scalable solutions serving millions of users. From 2011, Minhao has also become a heavy Amazon Web Service user. This experience makes him a sound cloud-computing solution expert. At last, Minhao is a very good communicator who works well with teams of all sizes.